Approved rezoning of 15520 Campbell Road NW allowing for a transit centre and park & ride facility. A planning application (map) has been approved to rezone property located at 15520 Campbell Road NW. 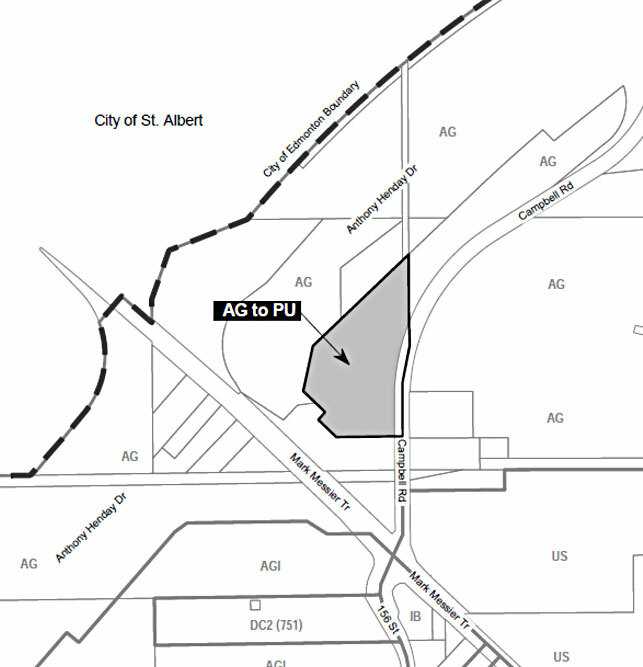 The land is rezoned from Agricultural Zone (AG) to Public Utility Zone (PU). The rezoning enables the development of a transit centre and park & ride facility.